Are you in the market for a new nailer? The Ryobi 18V 16GA brad nailer will take care of any nailing job with ease. Enjoy the freedom of a nailer that doesn't rely on compressors, gas cartridges or air hoses. This model instead uses AirStrike(TM) Technology, which gives you a faster set-up and more manoeuvrability wherever you are working. Adjust your air pressure with the turn of a dial, and take advantage of the tool-free depth of drive adjustment system for perfect results every time. The convenient ONE+ system adds extra value to this unit. As part of this range, the Ryobi 18V brad nailer is compatible with any ONE+ battery pack, along with many other Ryobi power tools. You can operate your tools with fewer batteries needing to be purchased. 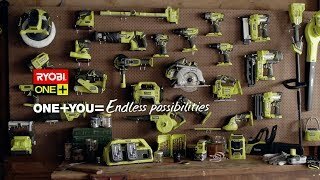 Are you ready to find out what the Ryobi brad nailer can bring to your DIY jobs? Pick one up from your nearest Bunnings store today!